BLOODSTOCK announce more RAM Gallery exhibitors, inc GOJIRA’s Mario Duplantier. Click here to get your Bloodstock 2018 tickets! 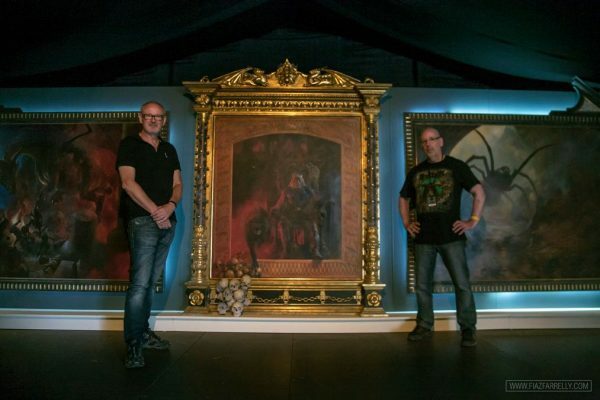 BLOODSTOCK is excited to announce further details of 2018’s onsite RAM Gallery, one of the more unique elements that sets BLOODSTOCK apart from other festivals. 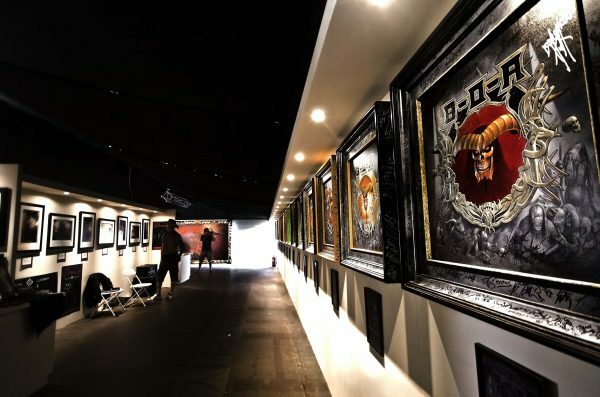 Festival founder and globally renowned artist, Paul Raymond Gregory created the onsite RAM Gallery in 2014 and each year the purpose-built structure showcases not only some of Paul’s work but several other BLOODSTOCK-related rock and metal-friendly artists and creatives. 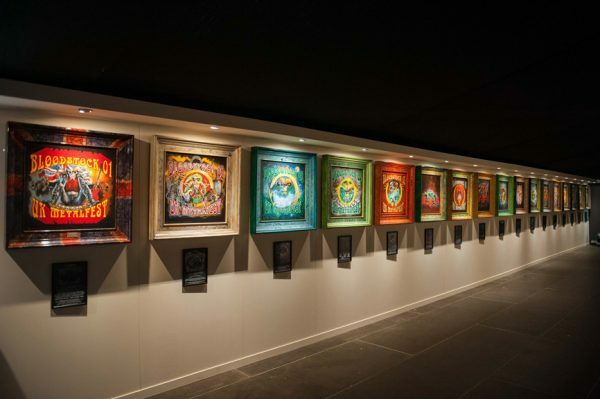 As previously announced, in 2018 the festival has also chosen to honour Friday night’s headliners, JUDAS PRIEST with a dedicated wall in the gallery, featuring some of the band’s album artwork and two incredible new creations by RAM Gallery luthier-in-residence, Cynosure, the ‘British Steel’ guitar and the ‘Angel V’ guitar. Cynosure has also crafted a NIGHTWISH-inspired creation and a fourth, in honour of French metal icons, GOJIRA, who headline the festival on Sunday and Saturday respectively, plus two Molly Hatchet-inspired guitars to celebrate the band’s 40th Anniversary. Paul Gregory has a longtime relationship with Molly Hatchet, having painted numerous album sleeves over the years for the Florida rock icons. You’ll be able to see all twelve of Cynosure’s RAM Gallery-commissioned guitars on site this year. Don’t miss this incredible collection! BLOODSTOCK weekend tickets with camping are still available at £145 (+ bkg fee), with children’s weekend tickets only £35 (+ bkg fee). Kids under 4 years go free! Weekend tickets are selling faster than ever and like last year, are likely to sell out before the event, so don’t delay if you want to guarantee entry to the UK’s best metal weekender! Adult one-day tickets remain available priced £65 (+bkg fee) and child day tickets at £20 (+ bkg fee) over at this link. Click here for Dead Label at this years Bloodstock Festival. BLOODSTOCK will take place at Catton Park, Derbyshire on 9th-12th August 2018. Get additional information over at this link. For more info on the RAM Gallery, check out this link. 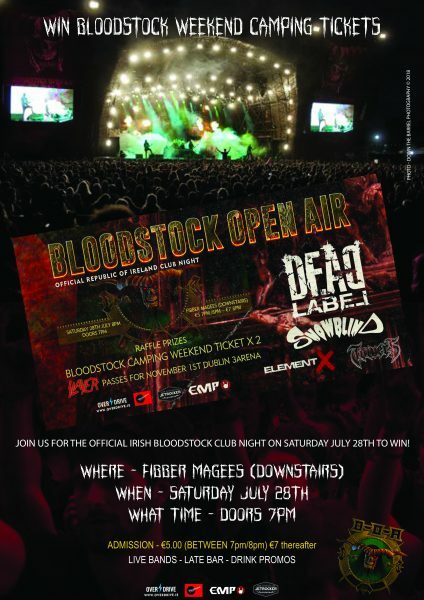 Win Full Weekend Bloodstock Camping tickets by clicking here!